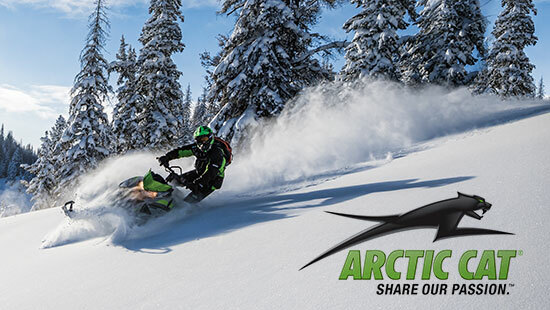 Arctic Cat Inc. announced that it has signed a definitive merger agreement under which Textron Inc. will acquire Arctic Cat in a cash transaction valued at approximately $247 million, plus the assumption of existing debt. Under the terms of the agreement, which was unanimously approved by the Arctic Cat board of directors, Textron, through a wholly owned subsidiary, will commence a tender offer to purchase all outstanding shares of Arctic Cat at $18.50 per share in cash, representing a 40.7 percent premium to the closing price of Arctic Cat’s common stock on January 20, 2017. Arctic Cat anticipates that tender offer materials will be provided to shareholders no later than February 7, 2017. The completion of the acquisition is subject to customary conditions and regulatory approvals. “Arctic Cat’s board believes that Textron’s offer delivers compelling and immediate value to our shareholders,” said Christopher Metz, Arctic Cat’s president and chief executive officer. “This transaction presents increased opportunities for the business to leverage our combined scale, accelerate growth and enhance product innovation in ways that will benefit our customers, dealers and employees.” Textron is a multi-industry company with over $13 billion in annual revenues and approximately 35,000 employees. Arctic Cat will become part of Textron’s Specialized Vehicles business, maintaining its iconic Arctic Cat brand, as well as its current manufacturing, distribution and operational facilities, with a focus on growing the business. Arctic Cat and Textron Specialized Vehicles have complementary product portfolios of recreational, utility and specialized vehicles. The combined businesses will be well positioned to be a powersports industry leader with a wider product line-up, and allow for more aggressive investment in product development, dealer networks, marketing and customer service. Advisors Baird is serving as financial advisor and Fredrikson & Byron is serving as legal counsel to Arctic Cat. Shearman & Sterling LLP is serving as legal counsel to Textron. The Arctic Cat brand is among the most widely recognized and respected in the recreational vehicle industry. The company designs, engineers, manufactures and markets all-terrain vehicles (ATVs), side-by-sides and snowmobiles, in addition to related parts, garments and accessories under the Arctic Cat and Motorfist brand names. Arctic Cat Inc.’s world headquarters is located in Minneapolis, Minnesota. Its common stock is traded on the NASDAQ Global Select Market under the ticker symbol “ACAT.” More information about Arctic Cat and its products is available at www.arcticcat.com. Textron Specialized Vehicles Inc. is a leading global manufacturer of golf cars, utility and personal transportation vehicles, professional turf-care equipment, and ground support equipment. Textron Specialized Vehicles markets products under the E-Z-GO, Cushman, Textron Off Road, Jacobsen, Dixie Chopper, Ransomes, TUG, Douglas, Premier and Safeaero brands. Its vehicles are found in environments ranging from golf courses to factories, airports to planned communities, and theme parks to hunting preserves. About Textron Textron Inc. is a multi-industry company that leverages its global network of aircraft, defense, industrial and finance businesses to provide customers with innovative solutions and services. Textron is known around the world for its powerful brands such as Bell Helicopter, Cessna, Beechcraft, Hawker, Jacobsen, Kautex, Lycoming, E-Z-GO, Greenlee, Textron Off Road, Textron Systems, and TRU Simulation + Training. For more information visit: www.textron.com.